The best time for a skin examination is after a shower. Use a full-length mirror and a handheld mirror to examine all parts of your skin in a bright room. Move systematically from head to toe, starting with the face, neck, scalp, ears and behind the ears. A hairdryer or comb may be used to move hair out of the way to examine the scalp. Examine the front and back of the body, lift arms to examine the sides and underarms. Examine the arms next, including the undersides, fingernails and palms. Examine the front and back of legs, including the buttocks and genitalia. Sit down and examine the soles, toes, web spaces and toenails. If you have too many moles to remember, it is helpful to take photographs at regular intervals so that any new lesions can be more easily detected. Your dermatologist can also help with ‘whole body photography’. If you detect suspicious lesions, take a photograph and schedule a consultation with a dermatologist, who will observe for changes since the last photo, examine them carefully with a magnifying instrument or a dermatoscope, and may recommend serial photography of atypical moles to observe for changes, or a skin biopsy to determine if there is skin cancer. While it is common to have new moles when you are in your 20s and 30s, moles that start appearing in those who are in their 50s onwards should be viewed with suspicion as they could indicate melanoma or other forms of pigmented skin cancer. A dermatologist should be consulted in such situations. 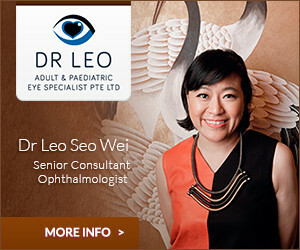 View our Singapore Dermatology Clinics here.